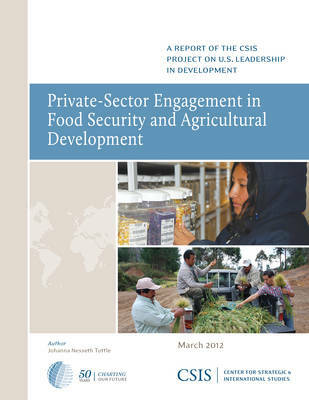 With the introduction of Feed the Future (FTF)-the U.S. government's program to refocus foreign assistance on agricultural development-the private sector has been named a priority partner. The U.S. food and agriculture sector is a thriving, complex industry that has benefited from a legacy of exceptionally strong partnership with the public sector. Land grant universities, extension services, and the U.S. Department of Agriculture all support a network of producers, marketers, packagers, and grocers in their efforts to improve food quality and safety, increase productivity, protect the environment, provide greater convenience, and keep food costs low for consumers. Publisher: Centre for Strategic & International Studies,U.S.